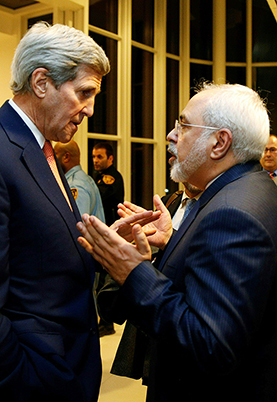 Will the nuclear deal ease tensions? Under an agreement last July with the United States and five other world powers, Iran promised to dismantle its military nuclear facilities and refrain from building a nuclear weapon for at least a decade. In exchange, the United States and other countries lifted stiff economic sanctions placed on Iran because of its nuclear activities. The agreement has raised speculation that Iran might someday join China, Vietnam and Cuba — non-democracies and former U.S. enemies — in cooperating on trade and diplomacy. Indeed, some believe the deal not only could spur trade between the United States and Iran but also unite them in efforts to stabilize the Middle East. Others say, however, that improvement in U.S.-Iranian relations is far from certain. Iran continues to antagonize the United States in national security-related incidents. As a result, the United States has imposed new sanctions on Iran unrelated to its nuclear activity. Moreover, pro-engagement leaders in both countries face internal resistance against forming a closer relationship.